Dynamic Digital Advertising specializes in print advertising and website development. Founded in 1994 near Philadelphia, Dynamic Digital Advertising is one of the first totally digital advertising agencies. While digital advertising truly is leading Marketing into the 21st Century, print advertising and marketing are still high on the list of DDA’s rock-solid credentials and capabilities. 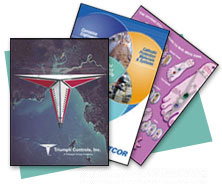 Our list of core competencies include marketing such as brochures, catalogs, calendars, postcards, binders and booklets, presentations, sales sheets, trade show ads, corporate logo design and packaging design. Spearheading a marketing program with print advertising in addition to Internet marketing is a wise choice. We can offer your business a combined promotional plan of print advertising including direct mail, a promotional CD-ROM with video and comprehensive website development with Internet e-marketing. This can create fully integrated corporate identity branding both in print and on the web. Dynamic Digital Advertising's "totally digital concept" has helped make DDA the pioneer and leader in digital advertising in the Philadelphia Metropolitan Area. Printed brochures and catalogs remain at the center of most companies marketing and advertising efforts. Catalogs designed for print can be made to be versatile and durable, assembled into three-ring binders for ease of future updating. Brochures designed specifically to fit your company image can help establish a leadership aura and sell the product being advertised. The options for brochure and catalog design are wide open, and Dynamic Digital Advertising is here to augment the print marketing of your Company’s service or product exactly as needed. Affordable professional printing for advertising, business training material or industrial literature in most any form is available. Working to meet your company's specifications, DDA conceives high quality black-and-white, two, three, or four-color graphics and designs. Whether your Company needs a simple business card or a trade show presentation, Dynamic Digital Advertising has both the technical savvy and artistic touch necessary to create captivating print advertising. Large format trade ads are unique in their approach to print advertising and marketing. Trade ads attempt to compel the random viewer to become interested in a marketing ideal or a corporate discipline at a glance. Trade ads are like trade show graphics; the viewer may only glance at the artwork before walking to the next booth or turning to the next page. The message must be clear and the visual must be as engaging as possible in order for this form of advertising to work optimally. Corporate logo design is one of the print advertising skills Dynamic Digital Advertising has honed to near perfection. It pays to have a solid design that will show your corporate identity in a straightforward manner. Advertising yourself is not an easy job. With Dynamic Digital Advertising, you will get highly skilled graphic designers creating original artwork and aesthetically pleasing layout and design for your product. We can create simply the logo, or assemble a package of letterhead, envelopes, and business cards to display the new logo and your company information attractively. For all your print advertising needs, you can’t go wrong with Dynamic Digital Advertising’s wide array of services offered. From digital photography, digital video and 3D animation to website design, trade show graphics and eye-catching catalogs and brochures, DDA offers one-stop digital shopping for companies large and small. Dynamic Digital Advertising is leading Marketing into the 21st Century.